Nvidia's least expensive 10-series GPU lives up to its price tag. For the price of two new games, the GTX 1050 is the best true budget card—with everything that entails. 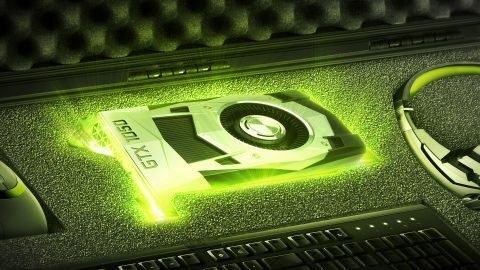 With the launch of the GTX 1050 Ti and GTX 1050, Nvidia fleshes out their 10-series GPU lineup with six models (not counting the 1080 Ti, which will likely come in January). Both cards use the same GP107 GPU, built on Samsung's 14nm FinFET node, but the GTX 1050 disables one of the six SM clusters, giving it slightly less performance than the 1050 Ti. Perhaps more importantly (depending on the games and settings you select), the 1050 also ships with 2GB GDDR5—no more, no less. Of the two newcomers, the 1050 Ti is to me more interesting, simply by virtue of the onboard memory. But both cards are in the difficult position of competing not just with AMD's new RX 460 and 470, but Nvidia's GTX 1060 3GB, plus all the cards from the previous generation of hardware. Pascal delivers impressive efficiency, and at the top it has some amazing performance. But when you cut as deeply as the GP107, and the GTX 1050 in particular, I have to wonder: How low is too low? Our best budget PC usually costs $650-$750, but with the GTX 1050 you can shave off another $90 from the price. Last year's GTX 950 was already a bit of a concern for me, and there are now games that push that card to its limits, even at 1080p medium. And I'm not even talking about maintaining 60 fps in all games—there are games where the 950 struggles to stay above 30 fps. It's basically on the level of the GPUs in current consoles, which doesn't sound too bad … until you consider the PS4 and Xbox One are now three years old, and consoles traditionally extract more of the raw potential from their hardware, thanks to having a standardized platform. You're basically paying half as much as the GTX 1060 and getting half the performance (give or take). I certainly won't fault anyone for saying that $110 / £100 is as far as they're willing to go in pursuit of playing games, but you're buying in at close to the bottom of what most developers are listing as minimum specs. That means you're more likely to need another upgrade in two years (or less), where faster hardware might do for three or more years. Cycle through the above images to see the individual gaming benchmarks. Overall, the GTX 1050 ends up being a few percent faster than the GTX 950, which isn't much. Anyone looking at the GTX 1050 and saying, "Yeah, that's exactly the sort of performance I need" could have said the same thing about the 950 any time in the past year. The GTX 1050 also beats the RX 460, which is probably a more important win—even when that card has twice as much VRAM. But that also depends on what games you're playing. Deus Ex, Doom, and Hitman all run better on the RX 460, thanks to DX12/Vulkan support, favoring AMD by 5-20 percent. That might seem alarming, but half of the games in my test suite (eight, technically, with one that will get a DX12 patch later) can use a low-level API, and Nvidia still wins most of those matchups. In the games that don't support DX12/Vulkan, the margin of victory is even higher—Civ6, Fallout 4, Far Cry Primal, GTA5, and Shadow Warrior 2 show 20-40 percent leads. The bottom line is that GTX 1050 outperforms the RX 460 4GB by around 10 percent on average, at a slightly lower price. I checked idle and load power draw on a different test system (Skylake instead of Broadwell-E), and found most of the graphics cards are pretty close on idle power use. Under load, however, despite the similar performance between the GTX 1050 and GTX 950, the 1050 uses about 40W less power. This is with one of the earlier 950 cards that has a higher TDP and includes a 6-pin power adapter, so later 950 models should narrow the gap, but they also tend to run a bit slower. Interestingly, in the US market the GTX 1050 takes the top spot, just edging out the RX 470 4GB. The UK market on the other hand favors the RX 470, with the 1060 3GB nipping at its heels. So I can make the argument that the GTX 1050 is actually a great value … but I still have qualms with the 2GB VRAM. I mentioned earlier how the 1050 is basically on par with the performance of the PS4 / Xbox One in the graphics department, and those both have more total memory. The PS4 has 8GB of unified GDDR5, while the Xbox One has also has 8GB but only 5GB for games. Regardless, that's more than twice the amount of memory, and the result is that many cross-platform games are starting to increase their memory requirements on PC hardware. Overclocking of the GTX 1050 is also going to be a bit limited, as most of the cards won't have an external power connector. I was able to push the clocks up by +150MHz, and VRAM I could add 250MHz, but while core clocks peaked at 1911MHz briefly, average clock speeds while gaming tended to be closer to 1750MHz. The MSI card I tested also comes with a modest factory overclock, but I was able to improve performance by 5-10 percent (depending on game and settings). The GTX 1050 ends up as the best ultra-budget GPU, when your price target is around $100 / £100. For entry level gaming and lighter esports fare, it does fine, and even better it should work in virtually any system sold in the past five or more years. All you need is a full-size slot with an x16 PCIe connection, and you can slot in a 1050 for a significant upgrade over integrated graphics solutions. It's also a good option for HTPC use, as the card still has all the HEVC decoding capabilities as the more expensive Pascal offerings. But being the best ultra-budget GPU isn't the same as being a GPU I can unequivocally recommend. The $200 / £200 market is usually the sweet spot in terms of price and performance, and you basically double performance as you double the price. Given the choice between a GTX 1050 and a GTX 1060 3GB, I'd take the latter if at all possible. But when you're budget constrained, doubling the price of your graphics card isn't usually an option. You can also take comfort in the fact that, along with many esports games, there's a huge back catalog of great PC games and cheap indie games that will run at maximum quality on the 1050. Provided you keep your expectations in check, the GTX 1050 can be a good and even great graphics card, but don't be surprised if you end up longing for a faster card in the near future.